For over twenty years, I have helped students of all ages and backgrounds express themselves with more clarity and creativity. Let me help you tell your story. My favorite classes in college were Creative Writing classes, so I majored in this subject. Creative Writing workshops allow us to become a community of writers, and writers need one another. We need each other as readers and as a support system on this journey. Zoom technology allows us to connect in small online groups, and I will hosting several writing discussions for only $10.00. Make a donation and write in the comment section what date you will be attending the workshop, and I will send you the Zoom link for the workshop. We will discuss topics related to your book ideas, as well as choices about writing nonfiction or fiction, writing through trauma, writing about spiritual experiences, planning your project, over-writing, simplifying, adding depth, the market, voice, style, authenticity, memory, letting go of ego in order to tell the best story, self-publication vs. traditional publication, and revision techniques. If you are familiar with my near-death experience, you know that teaching is my calling from God and it allows me to energetically serve others on their journeys to greater healing and success. These will not only be workshops about writing techniques. 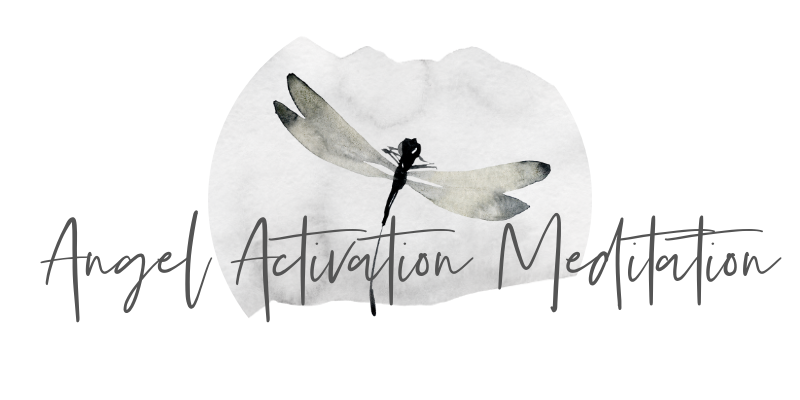 These interactive workshops allow me to use my intuition in action to assist you. My book Angels in the OR: What Dying Taught Me About Healing, Survival, and Transformation can be ordered now at this link. It can also be ordered through Audible. I am happy to share with you what I have learned about selling a memoir in these workshops. I am here to support you in any way that I can support you. If you are serious about publishing, you are also going to need personalized support. If you want developmental editing (and I highly suggest that you use a developmental editor), you might want to check market rates for developmental editors. My price is $40/hour for looking at writing, and I will cater the feedback individually for your particular project. Contact me if you want to discuss working together on your project. If I cannot take you as a client, I am happy to make referrals. I know and have worked with wonderful editors. Round Table Discussion: Make sure you have joined the Facebook group and posted a sample of your writing. If you don’t have a Facebook account, email me a sample of your writing, and I’ll email it to the group. Before the night of the class, you will need to read the work posted in the group and have some overall reactions and feedback. I will give specific tips and feedback based on the writing samples. Other members of the group will also offer responses and feedback. Let’s answer the big questions that you might be pondering about writing a book. Possible Questions: What is my time frame for writing a full-length manuscript? What are my biggest concerns? What are my goals for this book? How do I organize my thoughts? Where do I begin my story? How will I guide the reader through the journey? Who is my audience? Is there a theme or spiritual lesson this story will illuminate? When should I use internal dialogue verses dialogue, anecdotes, simile and metaphor, conflict, or alternating points of view? How should I use varied sentence structure to create tension and speed in my writing? October 11th (Thursday) 7:30 – 8:30 p.m. CDT (Women’s Only Writing Group) One of my specialties is the use of confessionalism as a writing technique. When is it important to share your personal experiences? When might it be better to fictionalize your experiences? What details should you leave in and what should you take out? What voice is your most powerful voice? What is the best way to empower yourself and others through your writing? October 25th (Thursday) 7:30 – 8:30 p.m. CDT (Open to Everyone) Let’s talk about planning your project, voice, style, authenticity, memory, self-publication vs. traditional publication, and revision techniques. I am open to all of your questions because each of you may be at different places in the writing journey. November 8th (Thursday) 7:30 – 8:30 p.m. CST (Women’s Only Writing Group) Voice, Style, and Technique. What would you like to learn? What would you like to manifest with your writing? What is your ultimate goal with your writing personally, spiritually, and professionally? What personal and societal transformations would you like to see occur because of your writing? If your goal is to entertain or educate others, that is fine too. November 11th (Sunday) 11:00 a.m. to Noon CST (Open to Everyone) Voice, Style, and Technique. What would you like to learn? What would you like to manifest with your writing? What is your ultimate goal with your writing personally, spiritually, and professionally? What personal and societal transformations would you like to see occur because of your writing? If your goal is to entertain or educate others, that is fine too. November 15th (Thursday) 7:30 – 8:30 p.m. CST (Open to Everyone) Voice, Style, and Technique. What would you like to learn? What would you like to manifest with your writing? What is your ultimate goal with your writing personally, spiritually, and professionally? What personal and societal transformations would you like to see occur because of your writing? If your goal is to entertain or educate others, that is fine too. **If you need to cancel, please do this at least three days before the workshop begins. That way, your seat will be available to someone else who wants to take the workshop. No refunds will be given if you miss the class. If you want to switch to another day, that is possible if spaces are available. *** I will take a break in December for the holidays, but we will begin again in January.